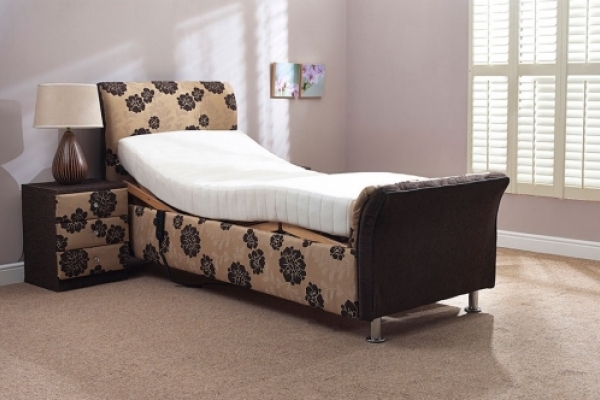 Luxury profiling adjustable bed with high quality Q-flex mattress and removable washable cover. 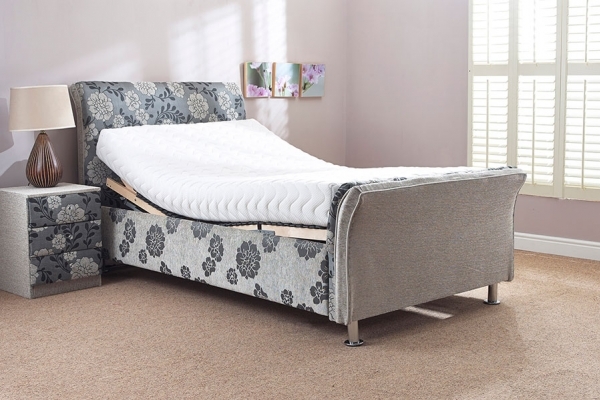 This electric adjustable bed is fully adjustable and has a 5 part movement mechanism with a high footboard and chrome legs, you get supreme comfort and fantastic styling. The model shown is upholstered in a beautiful chenille and has 4 inch chrome feet. This bed comes with a full 5-year guarantee. Unlike some other companies, we only sell beds made from the best quality materials. 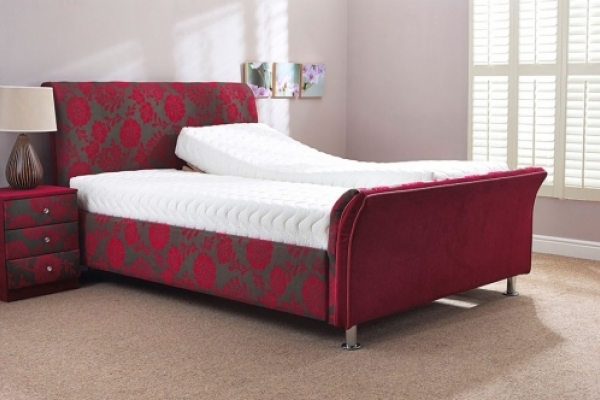 As with all of our standard adjustable beds, you can sleep on it for up to 7 nights and if you are not totally satisfied, we will fully refund you the cost of the bed or exchange your mattress free of charge. Standard size for the Berkeley is 22 inches from the floor to the top of the mattress. The length of the bed is 7ft 6". However, it can be made shorter (additional costs apply). Colour The colour of this divan bed surround is floral grey rails and grey head and foot boards. The picture shown is a double bed. This bed is also available as a single or dual.